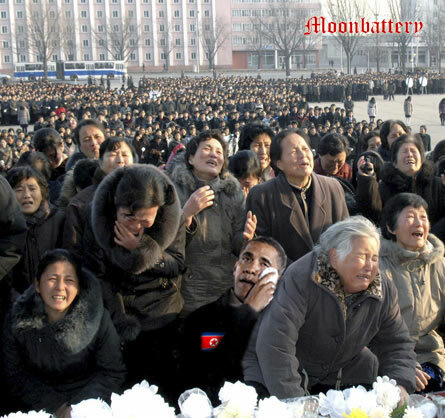 MORE MOURNERS GATHER IN THE STREETS OF PYONGYANG FOR DEAR LEADER……. – The Tundra Tabloids……. MORE MOURNERS GATHER IN THE STREETS OF PYONGYANG FOR DEAR LEADER……. From one Dear Leader to the other. Previous Post Previous Post EZRA LEVANT AND LORD MONCKTON ON GLOBAL WARMING RUSE……..
Next Post Next Post THE GREATEST LATMA STORY EVER TOLD……!